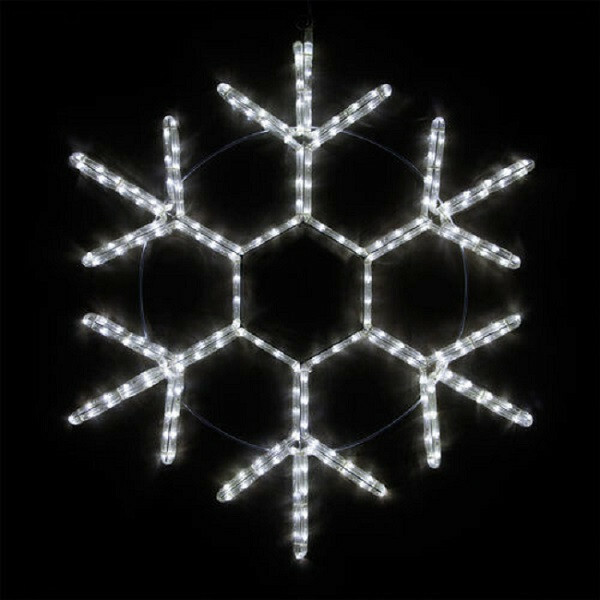 This gorgeous snowflake is loaded with cool burning, LED rope lights. They are attached to a powder-coated, sturdy frame. 20" Diameter and easy to hang on a door, window, or wall, the snowflake design makes it perfect in any Christmas or winter-themed display. UL listed for indoor or outdoor use.